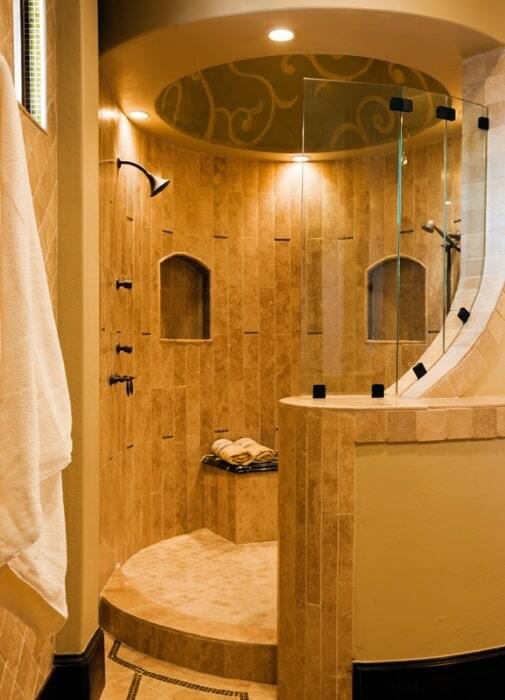 Many homeowners really enjoy taking a nice hot shower after a long day of work or activity. It’s a time for reflection, relaxation, and an escape from the hustle and bustle of daily life. That being said, why not make the experience as enjoyable as possible? There are many options when remodeling your standard shower, check out some of our ideas below. There are a ton of different faucet designs for showers. Gone are the days of the standard old single function showerheads. Competitors in the markets today offer everything from multifunction showerheads to bodysprays to rainheads. The trick is choosing the right one for you. We’ve looked to our friends over at KOHLER for the latest in shower faucet innovation (plus all of their options efficiently save water as well)! 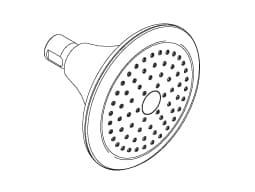 Single-Function Showerheads: Straight forward, ideal for the classic shower. Multifunction Showerheads: Whether you’re looking for a bold “wake-up” shower, a massaging post gym shower or a relaxing rinse before bed, multifunctions change pace with your day-to-day needs. Rainheads: Complete body drenching coverage (just like rain)! Do you like the feeling of being enclosed or are you a free spirit? If you’re someone who likes a private shower, enclosed may be the way for you to go. There’s the standard curtain or shower doors. If you like the idea of the standard curtain, but feel a little too cramped in your space – try installing a curved shower rod! This is an extremely inexpensive way to gain alot of extra real estate! For those of you looking for a more open design, but not quite ready to go completely bare bones, look into glass enclosures (http://pinterest.com/RendonRemodel/showers-glass-enclosures/). Finally, for those of you feeling as if you want to escape the box, think about your options to have a non-enclosed shower. This could mean anything from a half-wall style, curved walls, or simply put – no walls at all. Check out our pinterest page for more non-enclosure ideas and styles: http://pinterest.com/RendonRemodel/showers-doorless/. Ever wonder why health clubs and beauty spas all promote their steam rooms? Aside from being incredibly luxurious and relaxing, steam is actually extremely good for the body. It can relieve stress & sore muscles, improve blood circulation, reduce sinus congestion and rejuvenate skin. Adding a private steam shower to your bathroom allows you not only to reap the benefits but control the experience. In some instances, you can even get systems that allow you to add your favorite scents like mint or lavender. If you’re a homeowner who loves a great shower and any of these options seem intriguing to you, let us know! At Rendon Remodeling & Design we’re here to make your home a dream come true.